When a man experiences a call to priesthood it is important to remember that this is first and foremost a gift from God and, as such, a cause of great joy. Often this call develops gradually over a period of time. Pray during this time asking God to guide you. When you feel that priesthood is the way of life God is calling you to, the initial step is an informal meeting with the Vocations Director, Fr. Francis Mitchell. Fr. Francis may be contacted by email admin@tuamarchdiocese.org, or by telephone 093-24166. The next step is a standard internationally recognised psychological testing process. After that there is a formal interview by a diocesan panel of three people who will make a recommendation to the Archbishop. If the candidate is recommended, then he is invited to meet with the Archbishop who will work out details of what seminary and course of training is to follow. At present we have 7 students studying for the priesthood – six in St. Patrick’s College, Maynooth, and one in the Irish College in Rome. The most recent ordination for the Archdiocese of Tuam was that of Fr. Seán Flynn in June 2014. We look forward to another ordination in June 2017.  Tuam Archdiocese has 55 parishes and approximately 75 priests in active ministry for 120,000 Catholics. There are a number of Gaeltacht Parishes where Gaelic or Irish is the first language. If you are interested in priesthood and would simply like more information at this stage, please contact Fr. 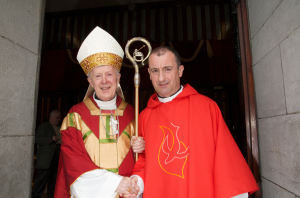 Francis Mitchell – 093-24166 or admin@tuamarchdiocese.org.